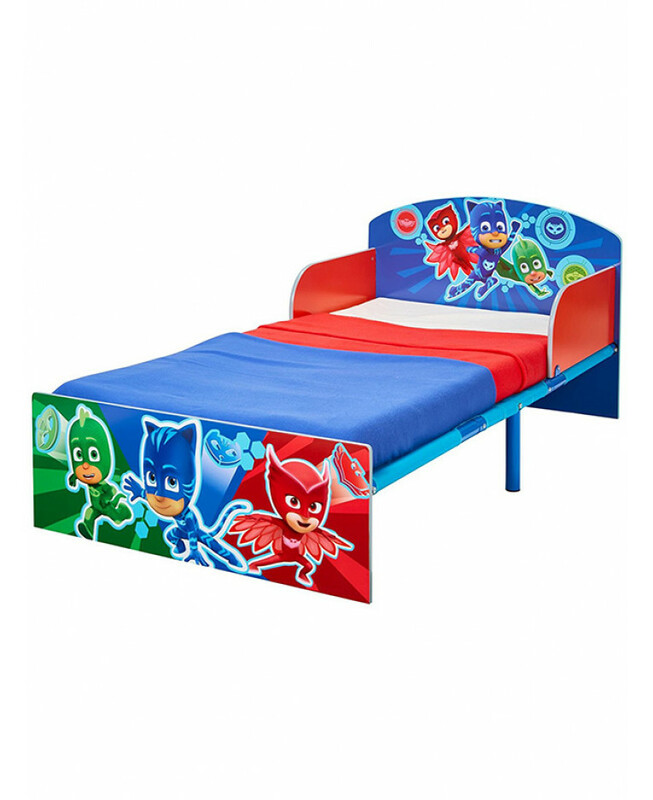 This PJ Masks Toddler Bed makes the move from cot bed to a 'big' bed easy. 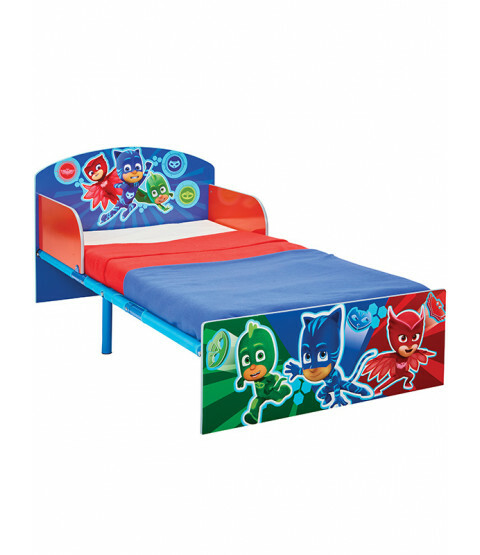 The hero to your children's bedtime routine, this toddler bed is big on imagination but easy on the pocket, with its striking PJ Masks design. Perfect for toddlers, the low to the ground PJ Masks bed frame offers plenty of protection. 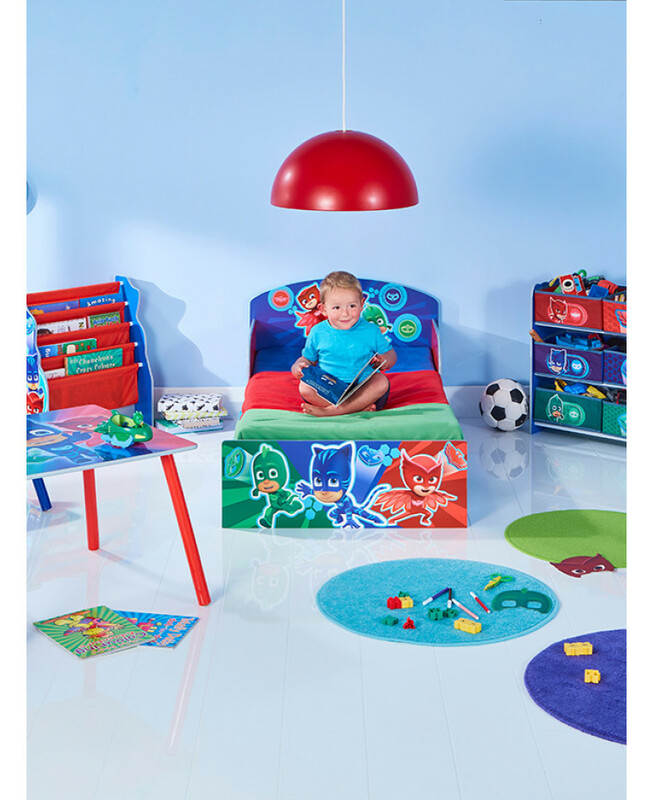 With protective side panels to prevent bedtime tumbles, kids get a good nights sleep and you get peace of mind. 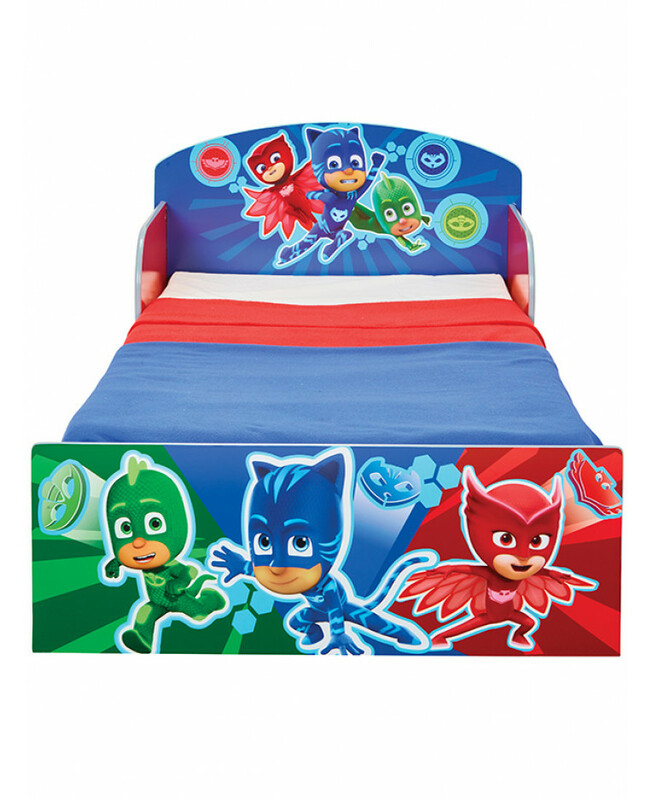 The fantastic PJ Masks design features Catboy, Owlette and Gekko on the head and footboards. You can complete your PJ Masks bedroom with coordinating bedding and bedroom accessories! 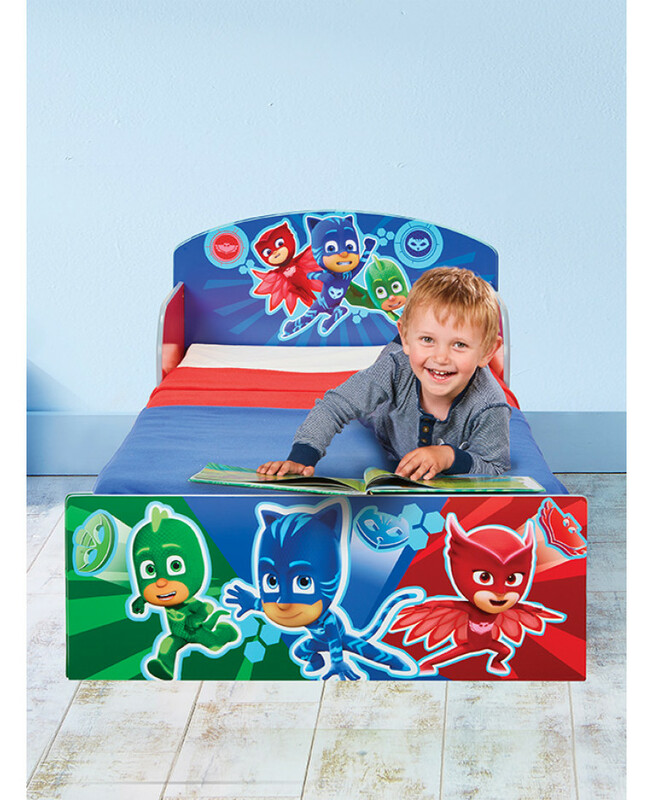 Purchase from our PJ Masks duvet covers and decor section.